“New Zealand is an increasingly important market for Acronis. One reason for that is the high proportion of SMBs in the region." 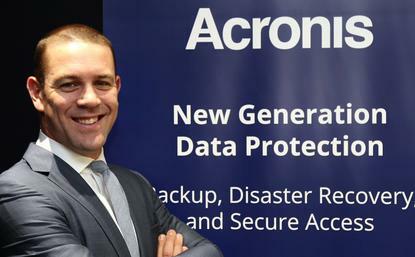 Acronis has launched its Backup-as-a-Service offering across New Zealand, as the company continues to increase its focus on the region. Officially announced yesterday at a customer and partner event in Sydney, the solution will be available across the Australian market also. “New Zealand is an increasingly important market for Acronis,” says Lincoln Goldsmith, General Manager A/NZ, Acronis. “One reason for that is the high proportion of SMBs in the region. At the same time, Goldsmith believes a strong uptake of cloud and other as-a-service offerings by SMBs demonstrates the “forward-thinking nature” of Kiwi businesses. “But despite the vital importance of business continuity, many organisations fail to implement adequate backup measures,” he adds. Goldsmith says Acronis Backup-as-a-Service delivers data protection capabilities without a large upfront investment, building on the company’s cloud portfolio in A/NZ while setting the stage for further growth in the region. “As the amount of data and private customer information held by companies increases, the need for effective backup and business continuity measures is also set to increase,” Goldsmith adds. “Acronis research has shown that only two per cent of companies back up 100 per cent of their data, and 36 per cent of companies do not back up virtual servers as often as they back up their physical servers. As a result, Goldsmith believes Acronis is “well-positioned” to help Australian and New Zealand organisations protect their operations, with the company set continue to grow in this region along with the market need. “Companies in Australia and New Zealand need as-as-service solutions that can bolster their business operations without adding significant costs to the bottom line,” adds Moheb Moses, Director, Channel Dynamics.